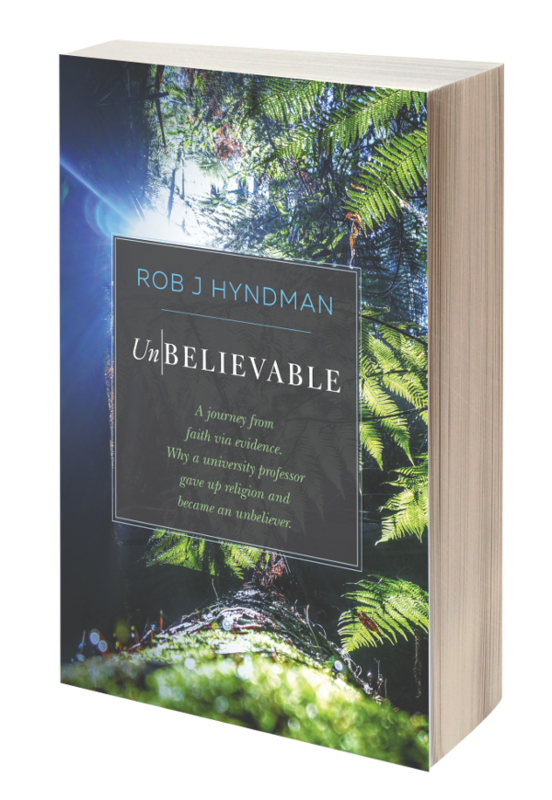 "I've been thinking a bit more about miracles recently and wondering what would persuade someone to change their mind on the question of miracles happening (either from a believer to a skeptic or the other way around). I was interested to discover a possible miracle that happened just under 100 years ago with apparently good evidence in support of it. 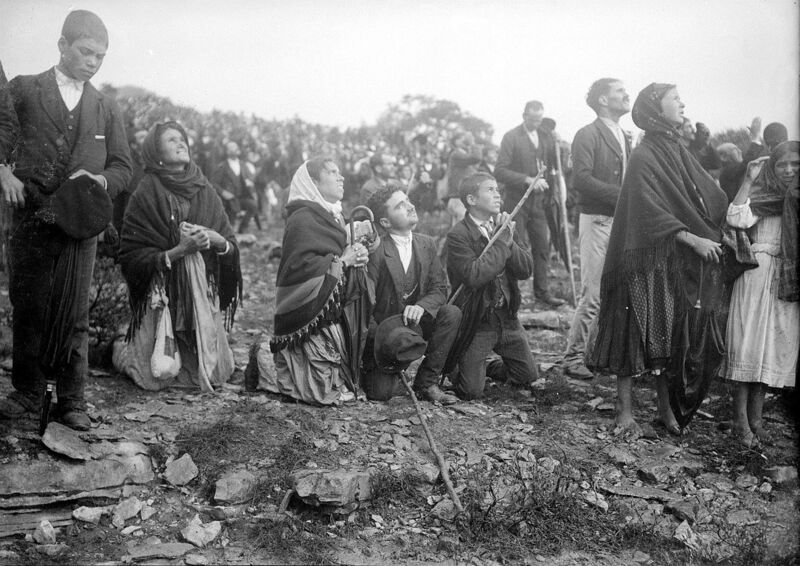 The miracle is known as ‘The miracle of the Sun’, and happened in Portugal in 1917. The reason it particularly interested me is because I think it contains a number of the elements that people use in support of Jesus resurrection." There is SSSOOOOO much online about this. Apparently there is a book "Celestial Secrets" which is worth reading (many say), which explains the "miracle" away. Steve, "I`ve often wondered if the resurrection of Jesus is convincing to people precisely because of the lack of evidence". I`ve come to the conclusion that people (particularly in the case of CD`s, but not exclusively by them), believe in the resurrection of Jesus, despite the differing(and difficult to explain)Gospel accounts, simply because it is written there. It is stated as fact there and so they believe it. The bible is God`s word, they say, so it must be true. It is a question of whether the bible is God`s word, or the writings of men who wrote at much later dates from hand-me-down tales of what was supposed to have taken place both before and after the death of Jesus on the cross. Steve/Mancott, I have read a number of versions of "how the resurrection is one of the best-attested historical facts" over the years by the likes of Josh McDowell, WL Craig and Lee Strobel (not Habermas, though I don't think that matters as they all cite each other anyway). I would have to see that when read in isolation they seem to produce a clear case. Even now when I read and feel "there's something suspicious here", it's not always easy to see which link in the glibly argued chain is the weak one to stick my pick-axe into. A key one seems to be "We'll assume that everything in the gospels is a historical, eyewitness account unless proved otherwise". Also, Mancott, it's interesting to see the inconsistencies spun as "Clearly these are independent records confirming the historicity of the same core event - so we should trust them more". In principle there could be truth to that, but depends how different they really are. And they are very quick to rule out "They are different because of later elaboration as the stories developed". Steve, I think you're right about the missing information too. Far too much of the literature is full of assumptions like "The only reason they would write X is reason Y, which demonstrates the truth of the resurrection". I know I can easily think of other alternatives, and if we knew the facts there might be yet other alternatives. For example, asserting "Paul wouldn't say there were 500 hundred witnesses unless it was true, because he was inviting the Corinthians to check it" seems to assume that there were enough believers with the time and money to make a long voyage to Israel to check it, rather than just doing what most of us would do and accept the story unless you have a strong reason not to. Another issue is the binary thinking. Things like "Either the gospels are 100% eyewitness, genuine accounts, or they collaborated to make it all up in which case they were surprisingly historically accurate and included some fairly embarassing things, so it must be 100% genuine". I see a lot of middle ground between the two extremes, but apparently some apologists think all you need to do is disprove one extreme and the other extreme is automatically proved. I could write at great length about this kind of false dichotomy, and probably will one day because it annoys me so much. I find examples that are not Christian but have similarities in the style of reasoning or in the conclusion helpful. Part of what led me to dump a lot of my preconceptions on prophecy was seeing an analysis comparing Christian prophecy with Mormon prophecy, and demonstrating it's very hard to develop a view of prophecy which would allow you to accept the many prophecies in the Bible as prophetic and inspired while still rejecting all the Mormon prophecies out of hand. And I'm sure the same would apply to other prophetic traditions as well. My conclusion: there are many things that I can't explain (or explain away) to my complete satisfaction. But if I worried about them all I would be mentally crippled. And if I waited for absolute certainty I would be waiting a long time. In some ways this makes it easier as I don't need to doubt the sincerity of others or attack them (just their arguments :) ). All I need to do is recognise that the sincerity of others doesn't obligate me to accept their sincerely held view. I'm sure I'm irrational on some things. No idea how many. Your argument sounds like the apologetic view: "How can we trust reason without God? If your brain is just the result of random processes, how can you expect it to lead you to truth? Clearly your worldview is self-defeating, so we can safely discard it." The difference is that you are willing to live with uncertainty, and those making such an argument aren't. Generally speaking, I think that being certain is considered a virtue. Often, though, I feel that being aware when you should be uncertain is a much greater virtue. Which is better, to acknowledge that none of us can be certain about a particular fact, or to say "They can't explain it, but I know the Bible does, so my viewpoint is better"? When debating "self defeating claims" I prefer the standard of usefulness to the standard of absolute truth. If my brain seems likely to give me an answer that works 90% of the time, it doesn't matter that I can't prove it gives a correct answer 100% of the time. You are of course right that I probably overestimate the workingness of the answer, but I would guess believers overestimate the workingness of the Bible or of prayer (in particular) by much more. You can only know whether you are rational if there is an objective standard of rationality -> Needs something to set the standard -> God. Shown most ludicrously in the premises of "Stealing from God", a book which I really don't think I could force myself to read. "I Don't Have Enough Faith to Be an Atheist" was painful enough, and I can't imagine the same author got better with a worse premise.